Don’t these people know what I just did? 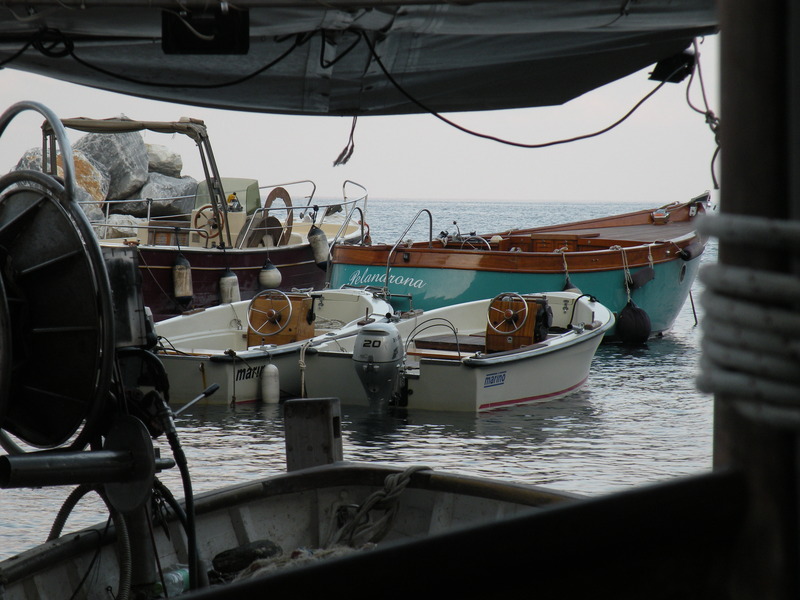 I got up this morning here at the Hotel Marina Piccola and went to the harbor at 7:00am to just hang out and watch the place come alive. I took lots of pictures and while walking around, I saw a small boat coming out of the harbor with a grandma and grandpa and their grandson. 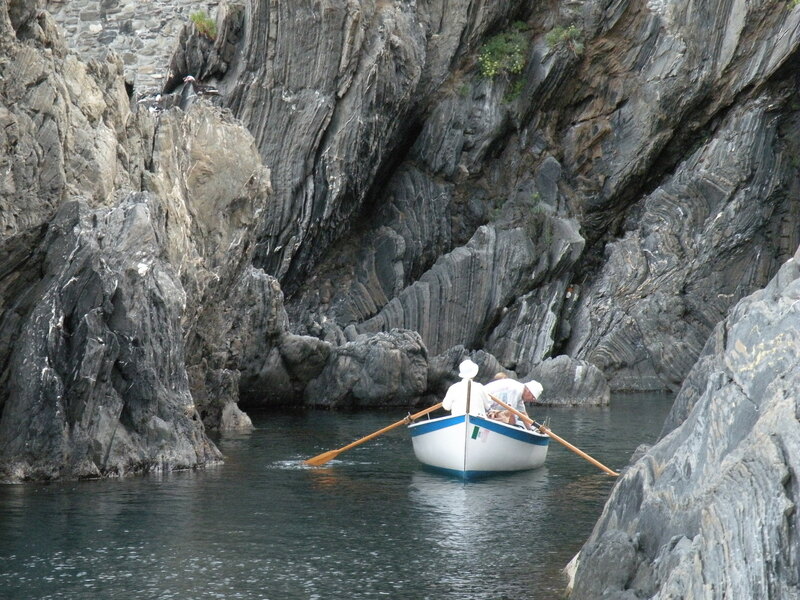 I watched while they rowed out to sea to do some fishing. 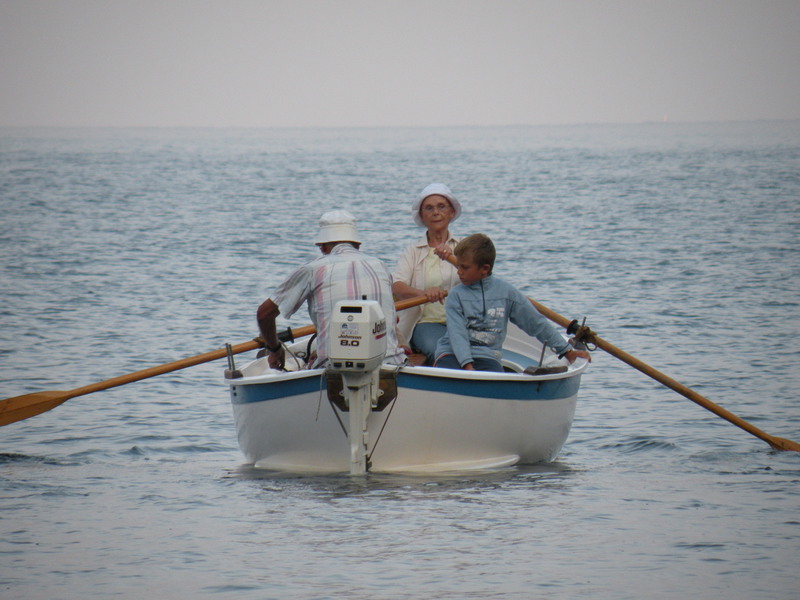 I thought it odd that Grandma did all the rowing. 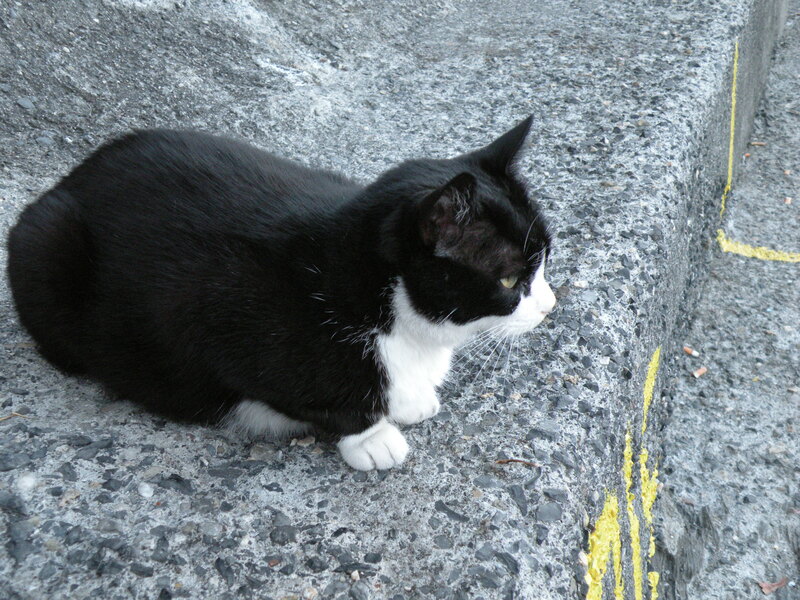 A little black and white cat befriended me and followed me all over and sat with me whenever I sat. I watched a couple of ships pass by. Around 8:00 I headed back to the hotel to have breakfast and after that, I loaded up my pack, filled my water bottles, checked the batteries in my camera, got my walking shoes on, and off I went. 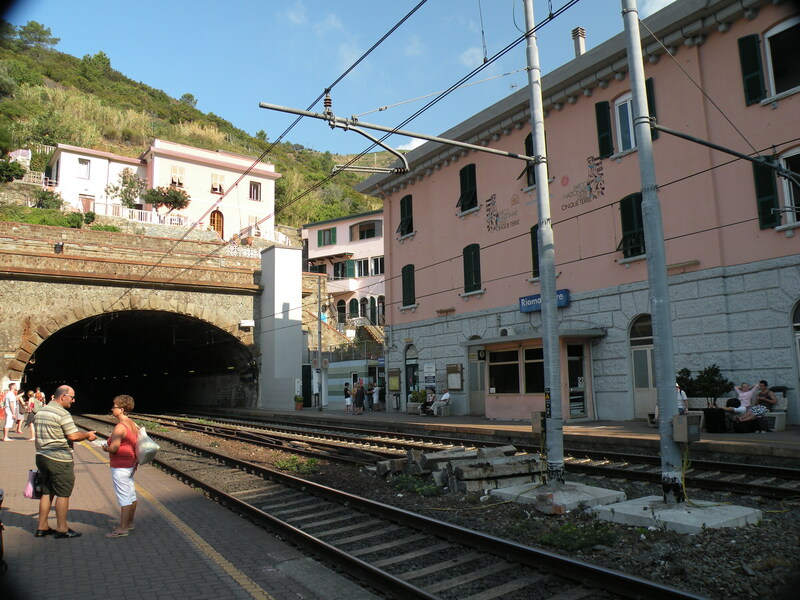 I took the train to Riomaggiore, the southernmost of the five lands and started my hike from there. 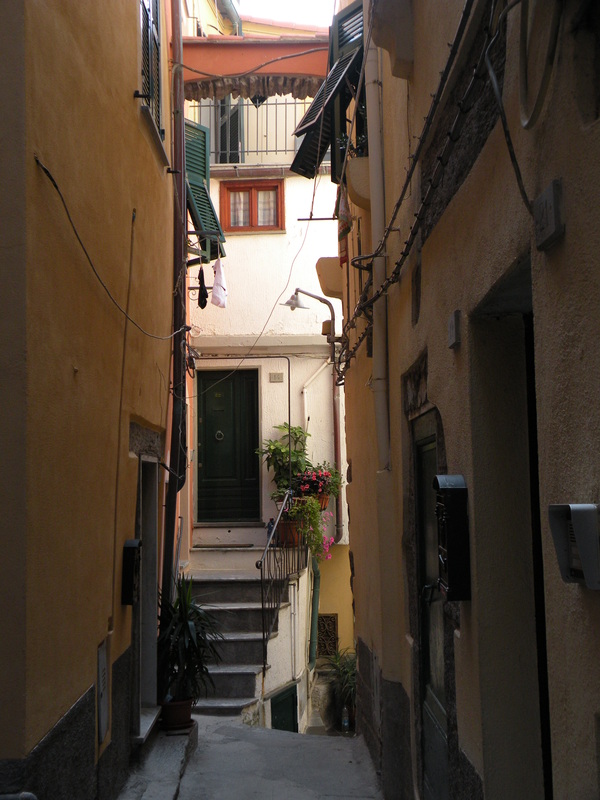 My intention was to hike the trails from one village to the next, all five, the last being Monterosso al Mare. 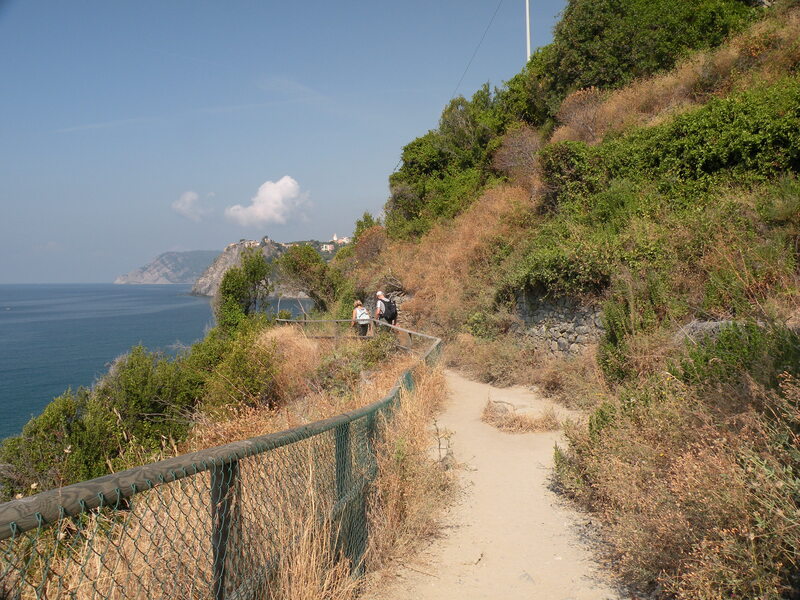 The walk back to Manarola was quite enjoyable, a very pleasant walk of only 20 minutes or so along what they call the Via dell’Amore (Lovers Lane). 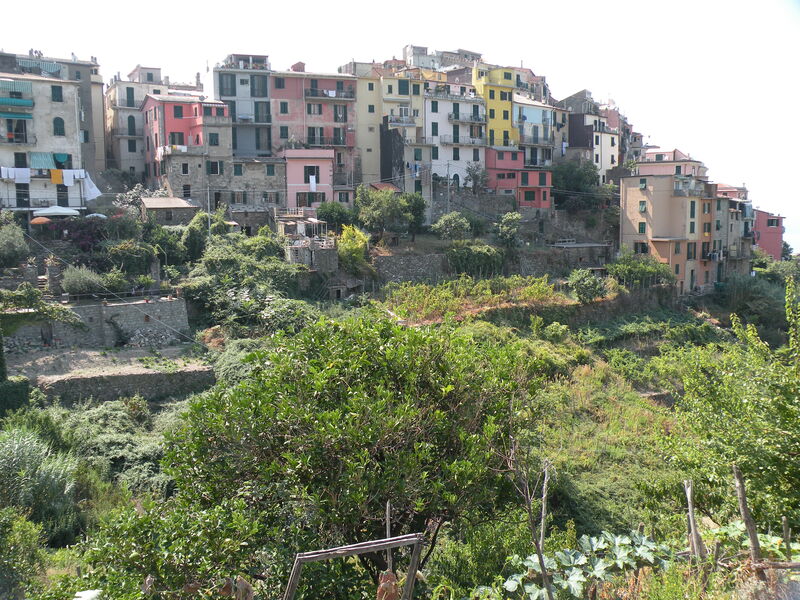 From there I set out for Corniglia, which is the only town that’s not down at the water. 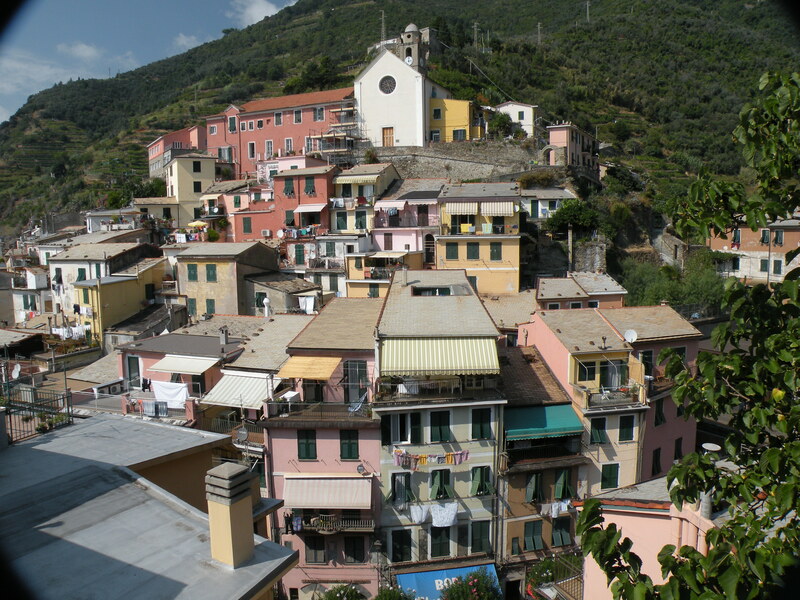 Corniglia sits high up on the cliffs. The hike had plenty of ups and downs and was not a paved walkway like the first leg, it took some work. It was also significantly farther. The last stretch of the hike was all up. Way up. Eventually, I had a choice of whether to finish the up part by stairs or via a road; I chose the road. 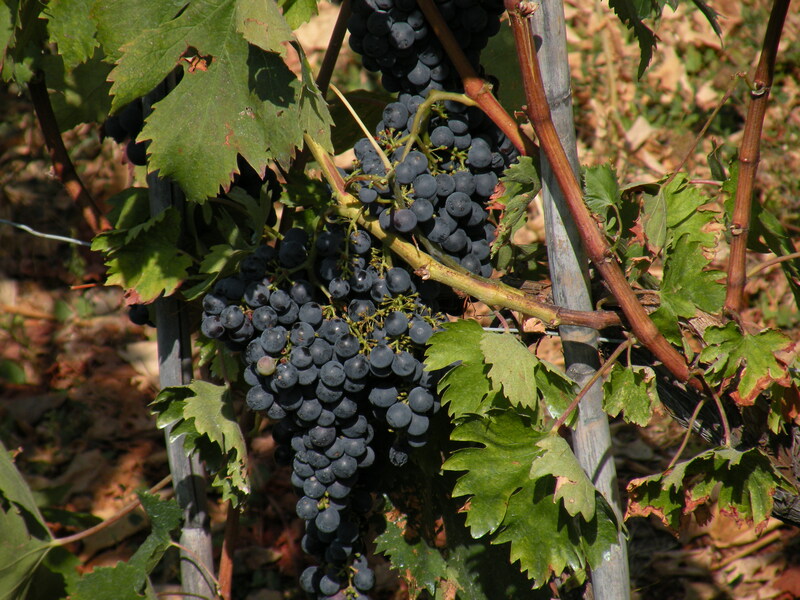 I said “buon giorno” to several locals tending their grape vines and olive groves and lemon trees and they waved back. Plenty of flowers of various varieties were all around as well. 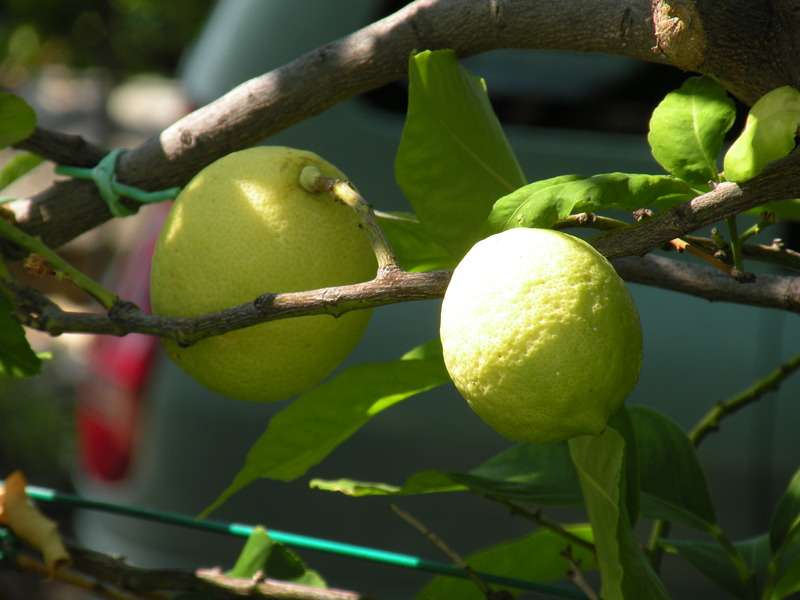 As I was struggling up the road in the late morning sun, at least it smelled nice. 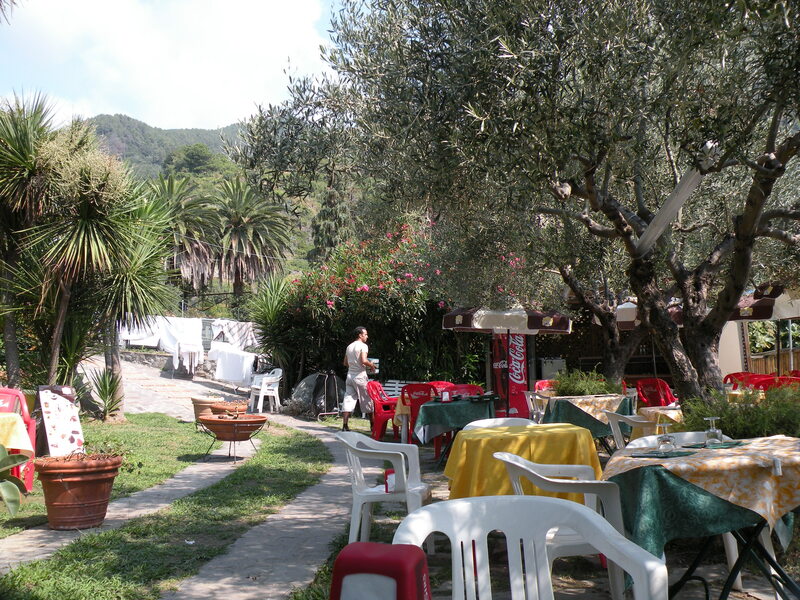 Once at the top, I wandered into a roadside outdoor bar/restaurant that was just setting up for the day. I asked if I could have a drink and I was waved on in and I sat at a table under an olive tree with a magnificent view. I had a cold drink and I asked for ice and was surprised they had it; most places don’t. I was served by a charming young man with a smile that just makes your day. After I rested a spell, I set off again and since I didn’t get my server’s name, I said “Ciao Bello” as I left, and I got that nice smile and a “Ciao Bella” in return. That felt nice. 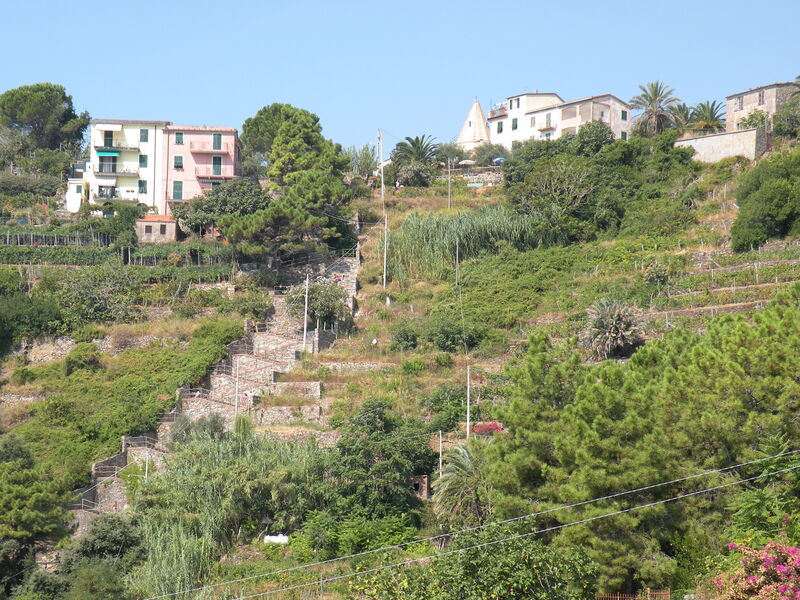 I then headed into Corniglia and had a short look around and set out for Vernazza, the next town on the route. I was feeling good, so no problem, or so I thought. Oh my, this stretch was very serious work. It was getting hotter out and there were more ups and downs and some fairly precarious spots. I almost tipped over a couple times and went over the side. Many areas had railings but many were bereft. I couldn’t help but think, anyone could fall right over and if you weren’t still alive enough to make some noise, no one would know. 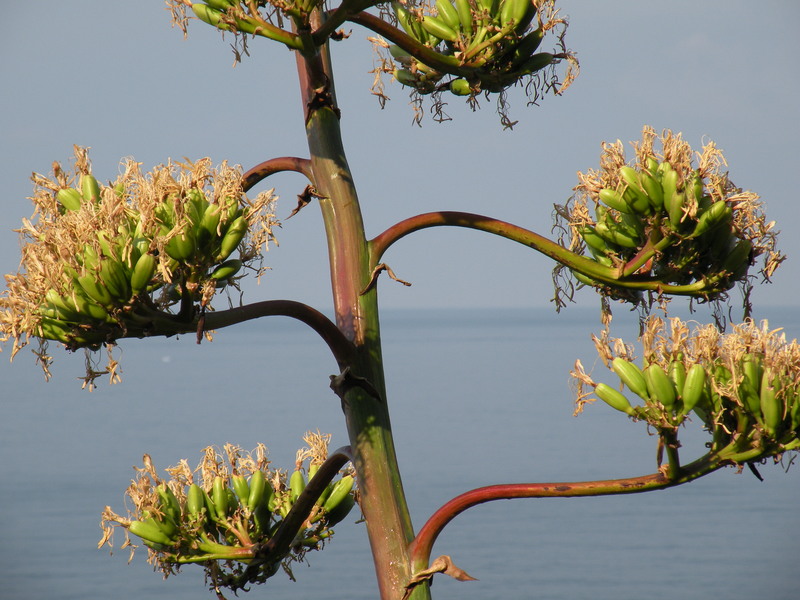 You’d just be swallowed up by all the growth. I forged ahead though. I passed several people going the other way that I just didn’t think had a clue as to what lay ahead of them. 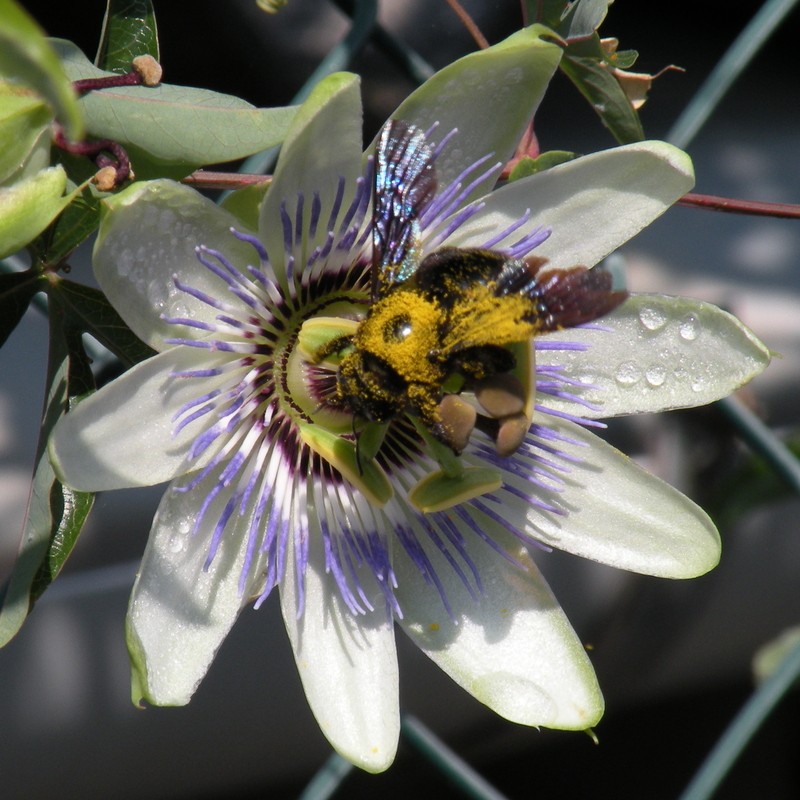 I also came upon several going my way, many that were way more in shape than I, that were struggling as well. Oh jeez, what hope did I have? I started thinking about turning around but I just didn’t want to lose the ground I’d just gained so I kept going thinking it couldn’t get much worse. Boy was I wrong. This was getting more and more brutal every step of the way. Each step up took some thought and each step down took even more thought to negotiate. There was no shade to be had. 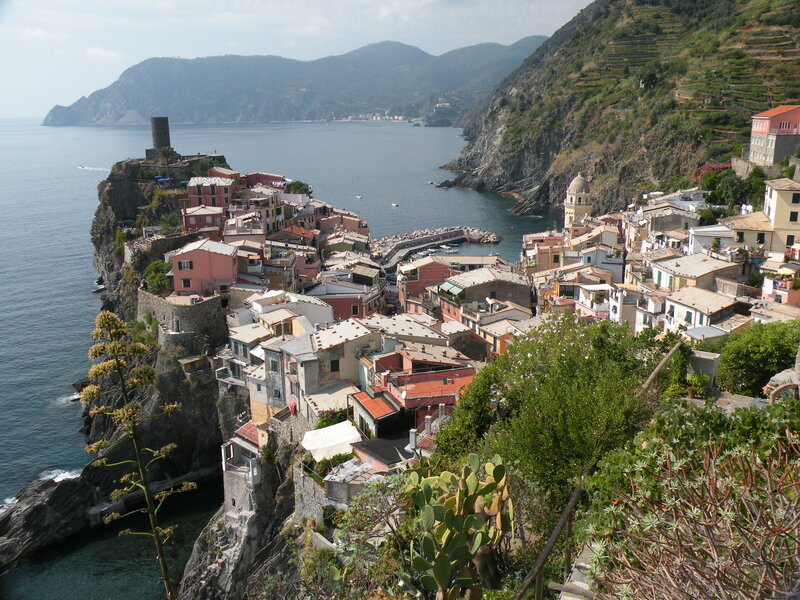 Where the heck was Vernazza? 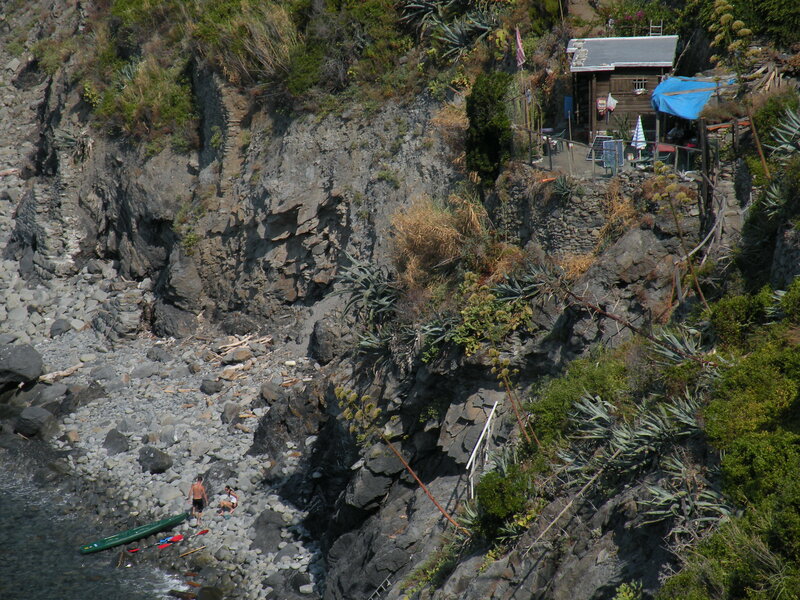 All I could think of was screw Monterosso and I can’t wait to get back to the room and a cold shower and air conditioning. I was petering out fast and the thought of that room is what kept me going. I came upon a spot where I could get water, so I downed what little of the two bottles I had left and refilled. I needed to rest but opted not to so I could get this over with. Onward. At a couple of vantage points, I could look back and see Corniglia and beyond that Manarola, I couldn’t even see Riomaggiore. Looking ahead I could see a town which I had always thought was Monteroso, the last of the five. If that was actually Vernazza, I’d never make it and well, I should just lay down and relax because I’m not long for this world. 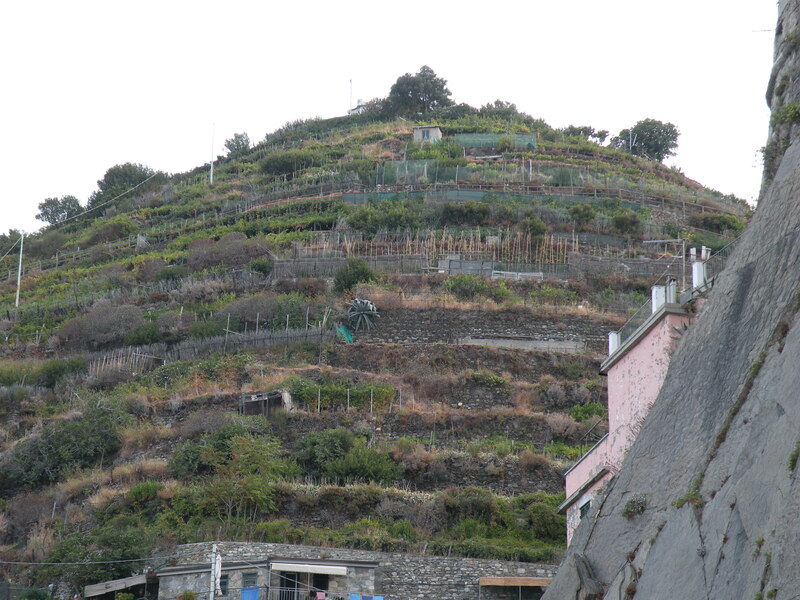 I talked to others who had come from Vernazza and asked them how much farther, they all kept saying a long way and they really weren’t looking so good either, and they described tough times ahead. Aw c’mon, really? Jeez what did I get myself into? I kept going, what else was I going to do? 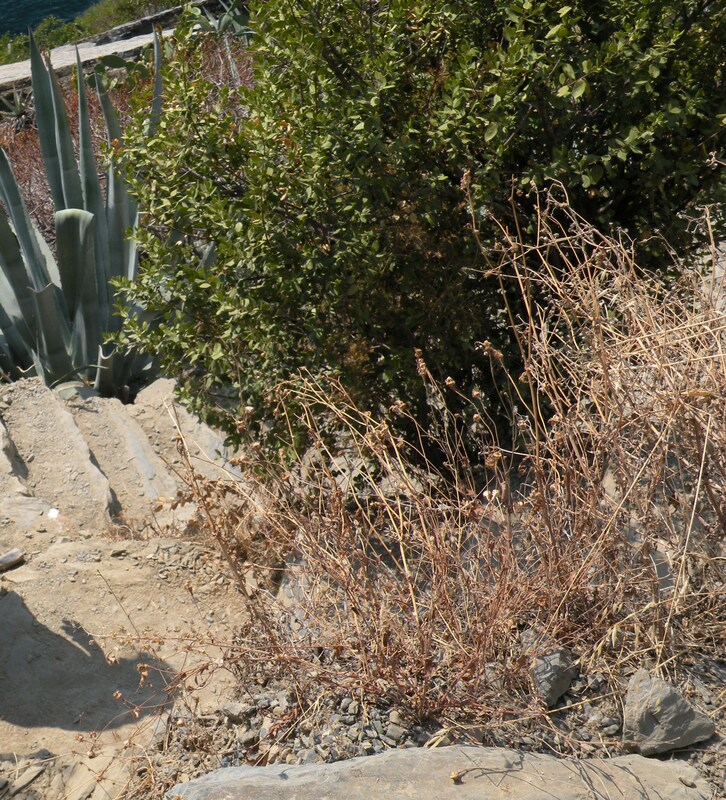 Most of it was climbing up and down rocks at all sorts of angles, not steps even. Then a lot of down, down, down which was bone jarring. Earlier on in the hike, everyone was pleasant, greeting each other mostly in Italian but sometimes in other languages. I was always quick with a “buon giorno”. Here though, it took all of my concentration to figure out where my next step will be and how do distribute my weight and what outcropping to grab to steady myself. Everyone else must have been in the same predicament because no one was offering up any greetings. I gave up taking pictures some time ago and put the camera in my pack because all my concentration was on my next steps and I kept banging the camera on trees and rocks. I kept going down and kept praying that the town I see way off in the distance is indeed Monteroso and you know what? It was. 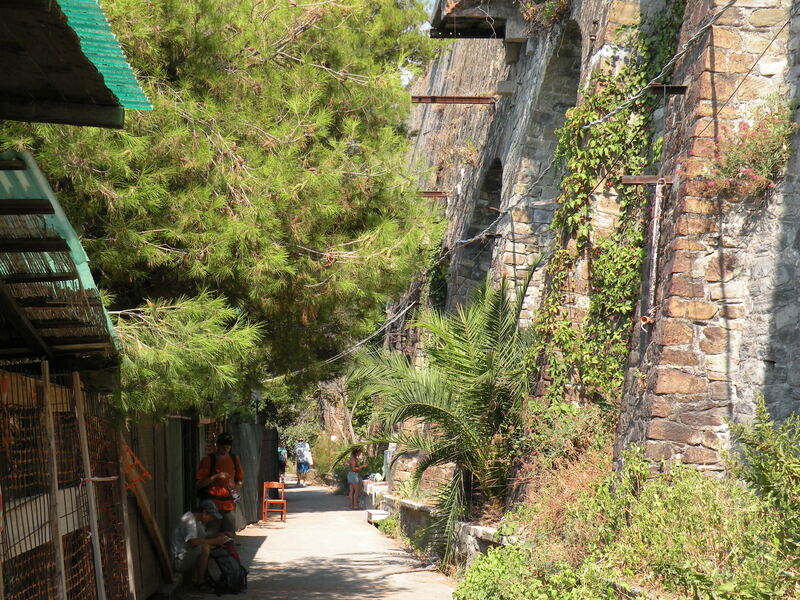 I came around a bend and all of a sudden, there was Vernazza in all her glory. And it was the money shot photographically speaking. Man did I have to work hard for this shot. 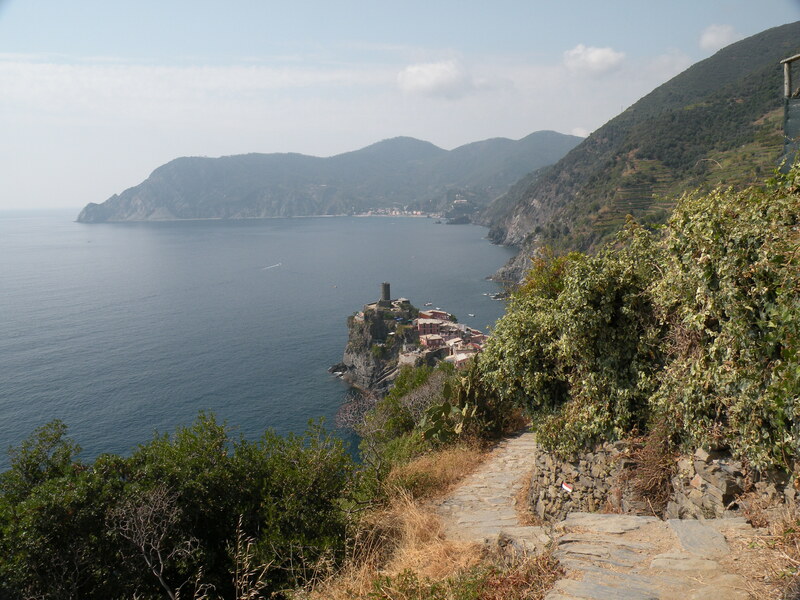 Then I realized I could have just taken the train to Vernazza and hiked up a little above the town. Oh well. Mentally though I just got a boost of energy. Even though I was so close though, there was more down. My body had started stiffening up, the joints were hurting, my feet were on fire, and I could tell things were out of place. Well even when I reached the town, there was still more zig-zagging down to go. At least the steps started evening out a bit. 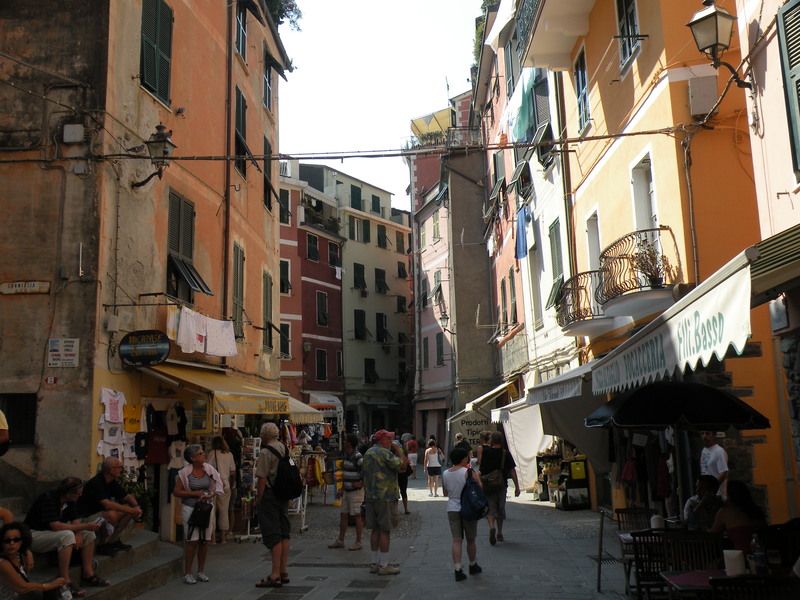 Excitement rising, I kept going and then… I popped out on the main street of Vernazza. Yeah! “Hey everyone, I’m here! I announced in my head. “I made it. 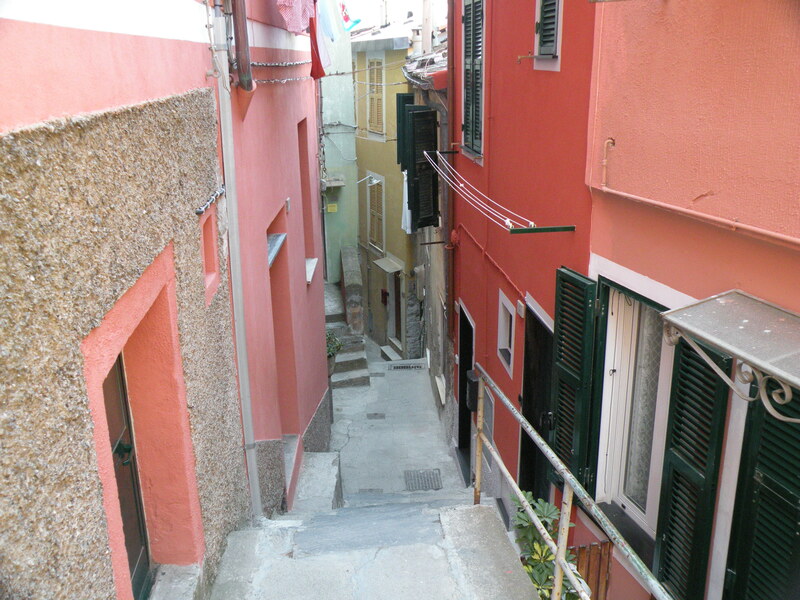 I just hiked all the way from Riomaggiore!” “Hello”? Huh? C’mon I just did something major here, I just hiked eight kilometers of rocky ups and downs along the Mediterranean coast, I survived certain peril. I got no welcome from anyone, no “atta girl” or “great job” from anyone, no pat on the shoulder, no “well done”. Jeez, all these people were acting as if nothing had happened. What a let down, this just isn’t right. 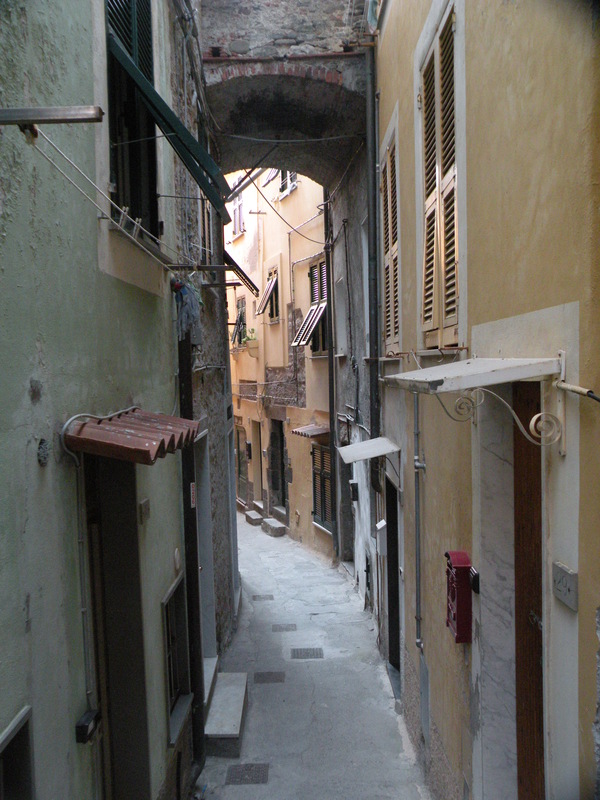 Accepting my irrelevance, I limped over to the nearest shop keeper and said “mi scusi, dov’è statzione?” She pointed down the street and off I plodded, feeling crushed. I found the train station and a seat in the shade and waited for the train. Several other people were there too, just going about their business. DON’T THESE PEOPLE KNOW WHAT I JUST DID? Nah, I hung my head and told myself of course they don’t and I started to doze off. Just then, the most refreshing breeze came along, the train must be coming. The trains travel mostly through tunnels here and they push a lot of air. When the breeze starts, the train is about three minutes away. After it arrived and spewed its daily tourists all over the place, I got on and in about 15 minutes was back in Manarola. 15 minutes? Holy cow, it took me four and a half hours to go the other direction. Of course the train gets to go THROUGH the cool flat tunnel and it does go a little faster I guess. I had a 10-minute walk from the train station to my room. AC on, long cold shower, in that order. I got the water as cold as it would go. Surprisingly, in this hot environment, the cold water really is. I was also surprised at how much trail dust I had collected, it took a while before the water going down the drain was clear. By the time I got out, the room had cooled down nicely. I dried my hair and got into bed. I had to lay flat on my back for a spell while my bones and muscles fell into their proper places. almost… do the trick…? There was a lot of that. Really all you can do is just wait it out or fall asleep. There was a lot of that too. I slept for a couple of hours and when I woke up I turned on the TV and found the CNN station in English. Wow, I’ve been missing a lot of news. I talked to my Aunt in Miami a couple of days ago and she told me about the hurricanes and the presidential candidates had picked their running mates and the republican convention is starting and the Olympics are over I guess. I’ve missed a lot. I got dressed and went looking for a place to have dinner; I was ready for another of those three or four course meals. Found one, had one, it was awesome. I started writing at the beginning of the meal and then retired to the waterfront to finish writing, where I’m sitting on a bench with the sound of the water coming ashore behind me; I’m feeling a nice cool breeze and some locals are sitting with me. There’s a time of the evening here when the locals all come out for a stroll through the town and they greet each other and sit with each other and talk. I think that’s so cool. 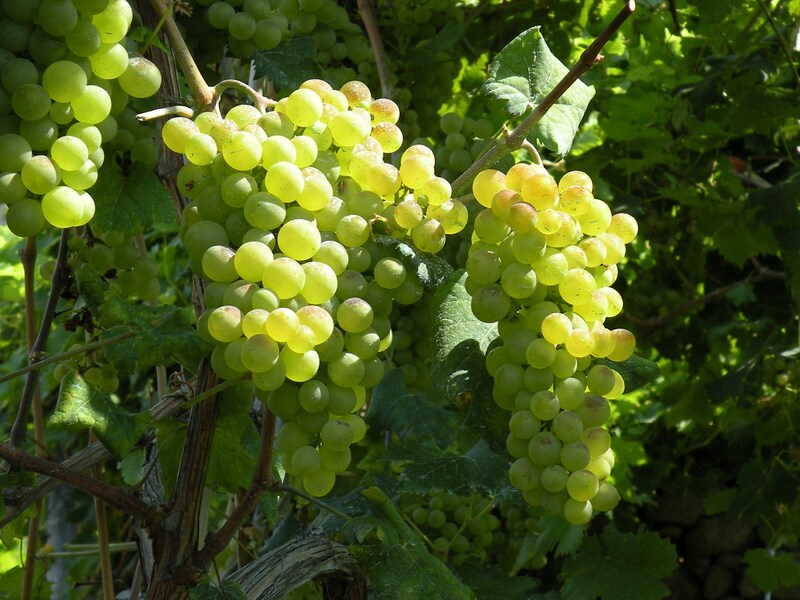 I wish you a great B’day and wonderful time on Amalfi coast in Italy. I’m going to move there but I’ll take the train, thanks!